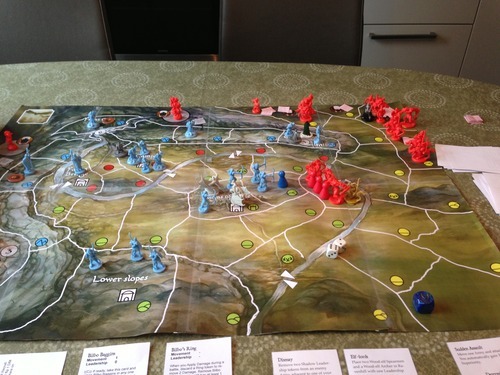 A 2 player board game. Similar to "War of the Ring". Made by same people. And "Middle Earth Quest" published by a different group. 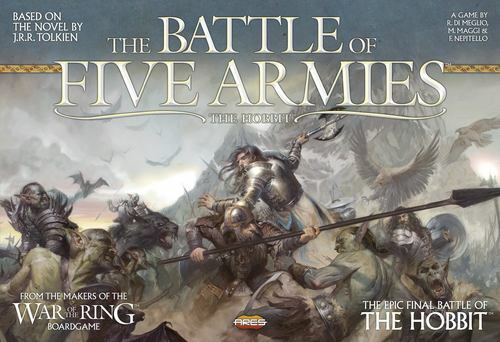 This is the sixth version of this battle based on The Hobbit book (see list of the other 5 versions). Can't wait to get a hold of this one. For now I will post a few pictures. As of Sept 2014, you can get this in the US on Amazon for about $65. But retails for around $90, so that is a good deal. I don't know the rules yet. That will have to wait until I get a copy of the game. Comes in different languages as well. At least in German and French.